This material belongs to: Forward. 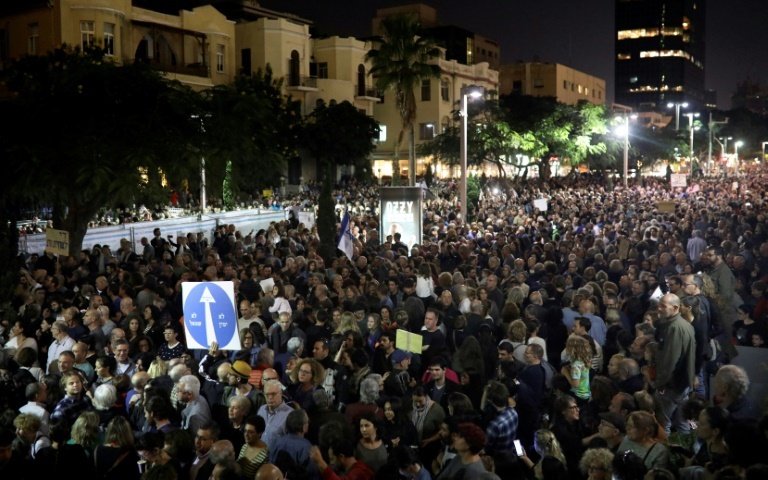 JERUSALEM (JTA) — Thousands of people gathered in Tel Aviv to protest against corruption in the government of Prime Minister Benjamin Netanyahu, while a right-wing rally to protest the same gathered only a few hundred. The Jerusalem rally on Saturday night was designed to draw those who wanted to express their anger about government corruption but felt uncomfortable demonstrating with mostly left-wing supporters in Tel Aviv alongside signs that called for an end to the occupation or that expressed support for the Boycott, Divestment and Sanctions movement against Israel. The Tel Aviv protest on the city’s main Rothschild Boulevard is the fourth Saturday night in a row of the massive protest, which came after a year of smaller protests in front of Attorney General Avichai Mandleblitt’s house to urge indictments in several corruption investigations against the prime minister. Officials put the number of protesters in Jerusalem at about 600, though organizers announced a turnout of 1,000, both significantly lower numbers than expected. Former Defense Minister Moshe Yaalon was the main speaker. The ruling Likud Party on Saturday night condemned the rally in Tel Aviv after photographs of a protester carrying a cardboard guillotine were circulated on social media. “The guillotine tonight on Rothschild is incitement to murder Prime Minister Netanyahu, alongside calls disparaging Zionism,” the party said in a statement. 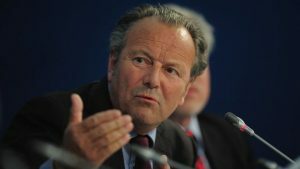 “The left-wing protest on Rothschild has crossed all of the red lines,” the statement also said. News reports in recent days say that police are planning to recommend that the prime minister be indicted in two corruption cases – one involving gifts of cigars and champagne from billionaire supporters and the other involving a deal to get favorable coverage from the daily Yediot Acharonot newspaper in exchange for putting the breaks on the free daily Yisrael Hayom, owned by Sheldon Adelson.